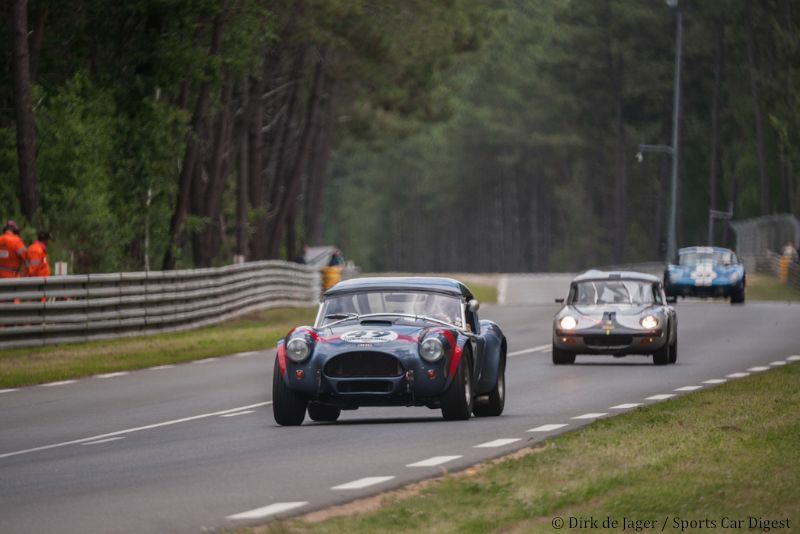 During the first weekend of July 2012 the 6th edition of the biennial Le Mans Classic was held. Started in 2002 this event has become one of the must-attend classic shows in the world. 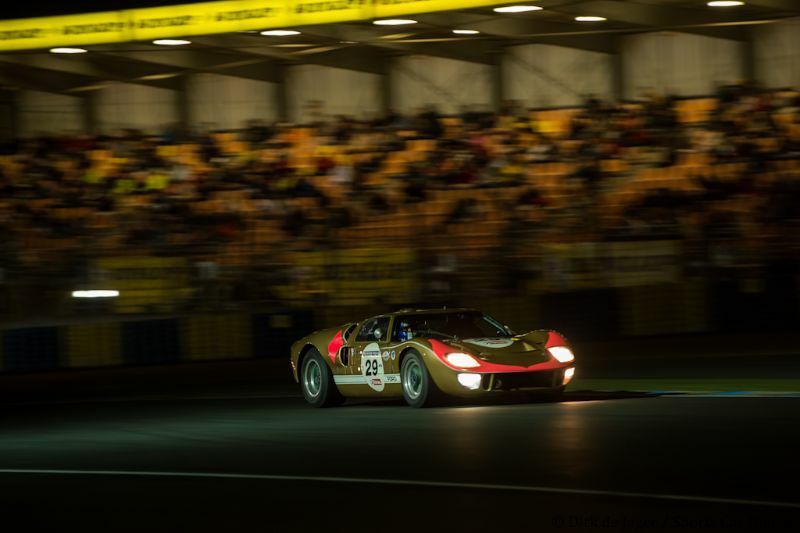 The 2012 Le Mans Classic featured over 400 racing cars storming the La Sarthe racing track divided into six grids. Of course all cars are sorted by ages, after all it wouldn’t be fair to pitch a 1926 Bugatti T35 against the 1978 Le Mans winning Renault-Alpine A442B. Not to mention the dangers in speed that the disparity would create. The first grid naturally brings out the oldest cars from before the second World War to the grid (1923-1939) and we can find the usual suspects such as Bugattis and Bentleys here. Also a few rare gems such as a Lorraine Dietrich B3/6 Sport, Morgan 4-4 and the only Citroën that ever participated in this legendary ’round-the-clock race. Grid two (1949-1956) showed a lot of grand touring cars and the arrival of the legendary brands such as Ferrari and Porsche flanked by Jaguar and Aston Martin. Yet it is interesting to see here even a Fiat 8V Zagato, as you don’t see those often on a race track. Some the attention grabbers here were a Kieft Climax, Renault 4CV that shows determination to hit the track with 750cc engined car. As usual the French specialities such as DB Panhards received a lot of appreciation from the audience. The 1957-1961 period is received for the third grid with leading the pack the 1959 Le Mans winning Aston Martin DBR1. 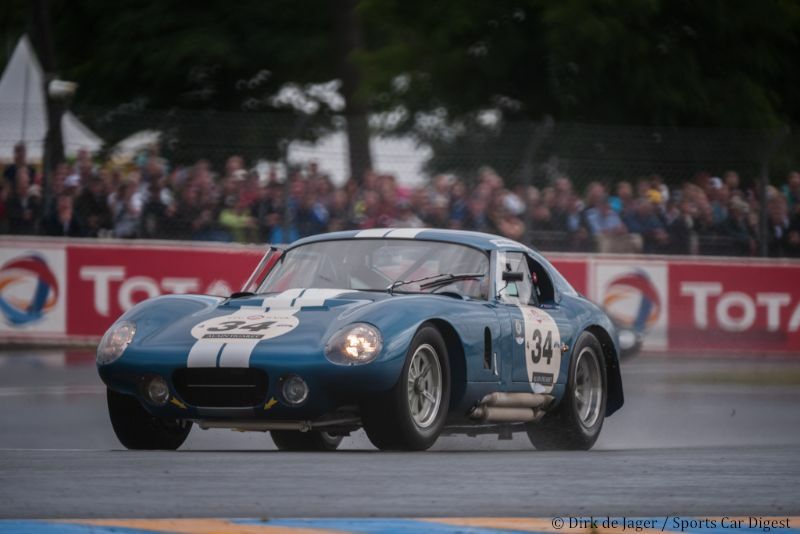 Starting from plateau 4 (1962-1965) is where the real speed is starting to build up, with nearly 80 cars on the grid and the big American muscle from the Ford GT40s and Shelby Cobras, including one of the gorgeous Cobra Daytona Coupes. They somehow don’t seem to be a fair match against the other “touring” cars such as TVR Grantura, MG B, Lotus Elan and Porsche 911. Great coverage Dirk & SCD; we at the Classic Car Club of America laud your coverage of Classic events. 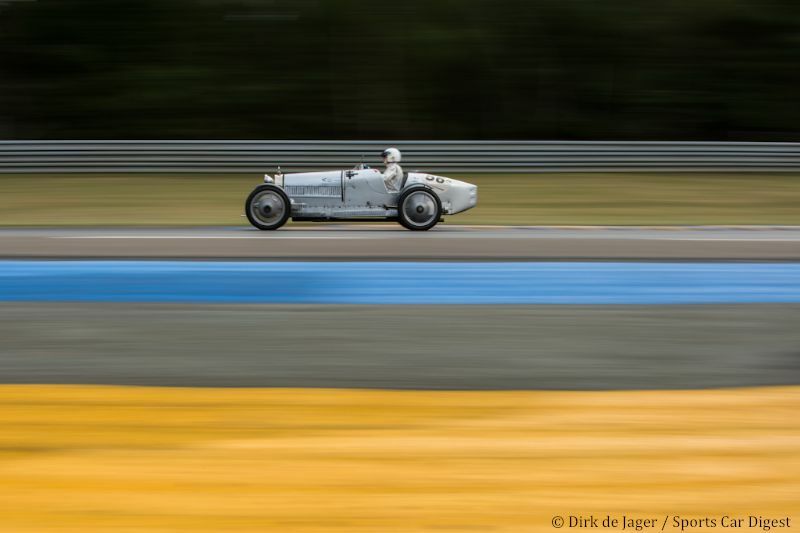 The Holman Engineering Racing Team (CCCA & VSCCA members) is en route from Paris/LeMans where they raced their ’28 Blackhawk in the Classic; in the past year, the Stutz also was raced at the Indy Centennial in a re-enactment of the historic first race between Stutz & Hispano Suiza. Though they were beat in the original race, the Stutz pulled off the win this time (hats off to Sam Mann however in the Hispano, it was a tight race)! So in the course of a year or so, the same car has raced at both Indy and the Lemans Classic. We appreciate your coverage of significant Classic events. You have the best digest of any we have seen! Keep up the great coverage! i love plateau 1, altough they do get “lost” on the LM track, it is just too big and too long of straights for those cars. 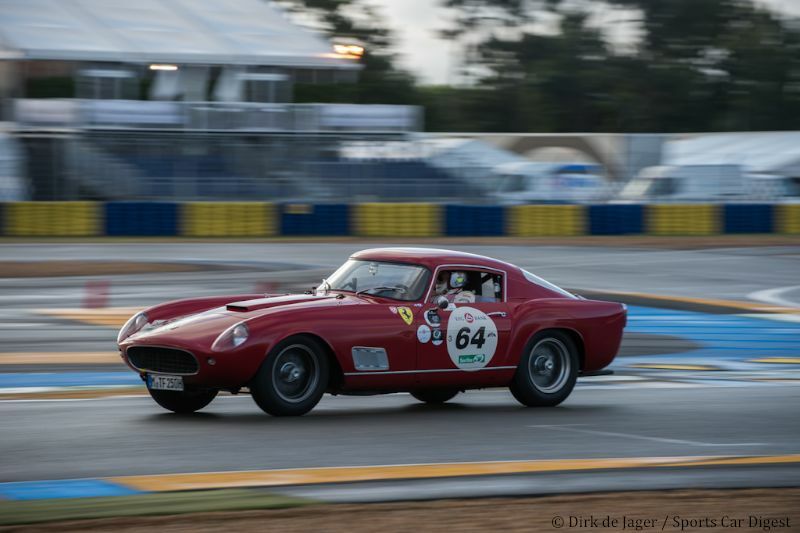 This is a nice report on Le Mans Classic with very nice pics. I need to be in contact with you. Could you please contact me at alfa.bugatti[@]free.fr.